Play around with light and shadow. 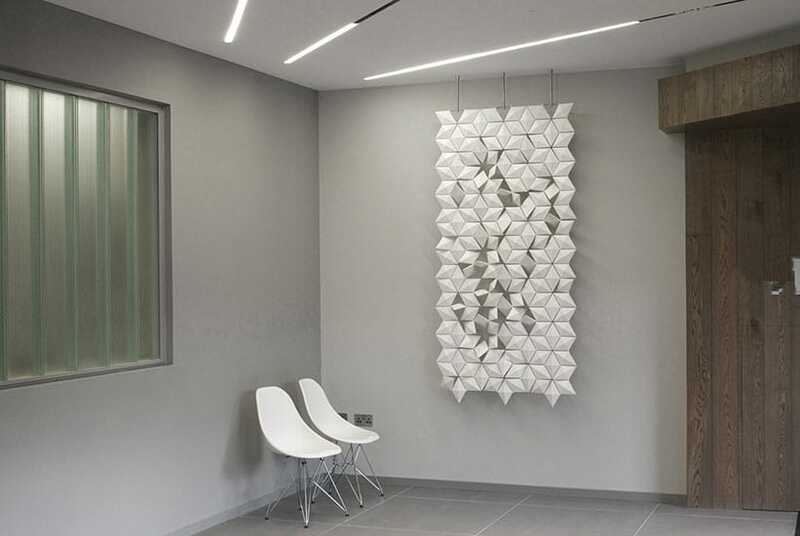 Created by Blooming in Eindhoven, the room divider facet is a modular constructed versalite room divider which can also be used as blinds. The connected diamond shapes can be opened or closed individually and thus creating beautiful patterns. The elements are of stainless steel, and the easy click system makes it possible to extend is to every desired size. Designed by Mireille Meijs.